"Meta-genetics" transcends genetic science, touching on spirituality, metaphysics, and the hereditary nature of Jungian archetypes. The foundations of meta-genetics lie in intuitive insights as old as the Dragon people, however, this is not an ethnic philosophy, but an emergent science. Genetic bonds are psychic and spiritual, rooted in "knowing", in gnosis. Genetic kinship is a time-transcending unity, unbound by our narrow perceptions of the past, present, and future. Meta-genetics is a separate field at the very heart of genetics -- the study of how inheritance itself evolves, even while it mediates all evolution. It attempts to interpret or explain the organization, structure and dynamics of genetic material -- the master program of the archetypal creative "programmer". 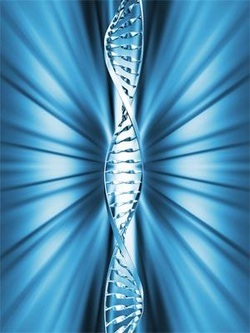 The meta-genetic program is the inherent intelligence of the life-energy itself.